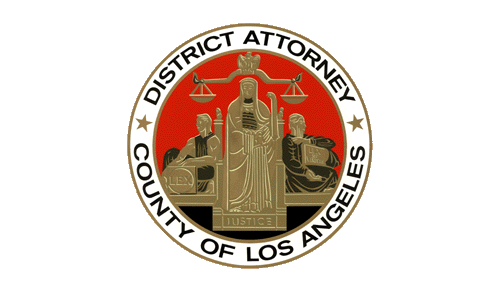 Los Angeles County District Attorney Seal. Courtesy Los Angeles County District Attorney. If you’re behind bars for a wrongful conviction, official help may be on the way. Backed by roughly $1 million in county funding, District Attorney Jackie Lacey announced Monday the creation of a unit that will review wrongful conviction claims. Lacey said at the Hall of Justice that her office annually files more than 71,000 felony cases, most of which are upheld on appeal, but the pursuit of justice is not perfect. Ken Lynch, who has spent 22 years with the District Attorney’s Office prosecuting and supervising hard-core gang and sexual assault cases, will lead the unit. Two experienced deputy district attorneys, one senior investigator and one paralegal will be brought on to round out the team. The unit is expected to review claims based on newly discovered evidence rather than procedural legal issues or claims of coercion or insanity. No formal court filings will be required to initiate a review, just a letter to the District Attorney’s Office from an inmate, attorney or innocence project. — the claim must be brought for a conviction obtained after trial. “The unit is not a 13th juror,” Lacey explained. If the case warrants a formal investigation and a Conviction Review Committee — made up of managers similar to the group that reviews death penalty cases — ultimately decides the office has lost faith in the conviction, prosecutors will seek to have it vacated. About two dozen prosecutorial agencies nationwide have set up such units. Civil rights advocates who learned of Lacey’s plans earlier this year widely praised the initiative, but at least one cautioned that the devil is in the details. Simply setting up such a unit doesn’t guarantee adequate focus to ensure fair treatment, Barry Scheck, co-founder of the Innocence Project, told the Los Angeles Times in April. “There are lots of people who can say, ‘Oh gee, I have a conviction integrity unit,’ because that’s now the necessary fashion accessory,” Scheck said. Scheck suggested the unit would best uncover the truth if a former defense attorney led the group. Lacey said her office had considered that possibility but decided against it. Lacey’s move comes in the wake of several high-profile convictions being overturned. Loyola Law School’s Project for the Innocent worked to free Obie Anthony, who spent 17 years behind bars after a witness lied about his involvement in a shootout outside a South Los Angeles brothel. In April, the city of Los Angeles agreed to pay Anthony an $8.3 million settlement. Susan Marie Mellen, who spent 17 years behind bars after being convicted for beating a man to death in Lawndale, had her conviction overturned last year. The previous year, Kash Delano Register went free after spending 34 years in prison on a murder conviction. However, the district attorney said no particular case spurred her decision, saying she had been talking about the idea since before she was elected to her post in 2012. Lacey said she believes there is a very small percentage of cases in which defendants were wrongfully convicted.